This figure is an astonishing escalation from the handful of wrecks already known to have been damaged or destroyed. Japan has lost the most wrecks. Other nations affected include Australia, America, the Netherlands, Britain, Germany and Sweden. However, sources close to the issue suggest that the figure may be much higher still, with one Chinese company claiming to have salvaged over 1,000 wrecks in the South China Sea. 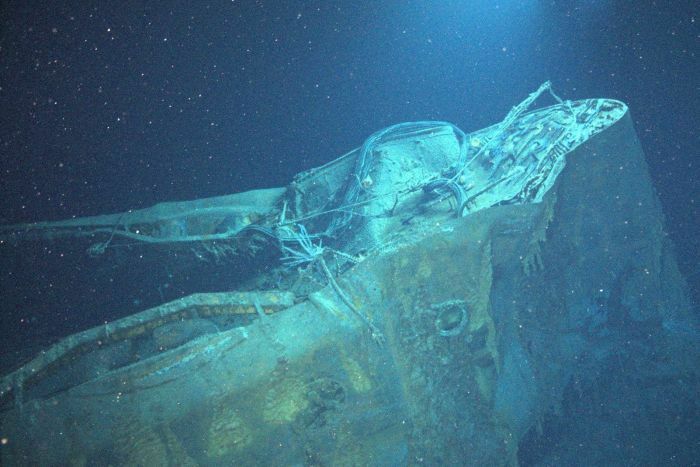 It is now a race against time to protect these wrecks and preserve the histories they embody. Museums can play a key role. For instance, exhibitions such as the Australian National Maritime Museum's current Guardians of Sunda Strait testify to the continuing resonance of these ships' stories even as the sites themselves are destroyed. This exhibition, which looks at the WWII loss of HMAS Perth and USS Houston, is made more poignant by the fact that HMAS Perth, in particular, has been heavily salvaged in recent years. The emotional echo of the stories of courage and sacrifice told here — such as that of HMAS Perth veteran Arthur Bancroft, who was shipwrecked not once but twice, and USS Houston's Chaplain Rentz, who insisted a young signalman take his lifejacket after the ship sank — is amplified, not diminished, by the accompanying contemporary tragedy.